Positive Property People are proud to call Caloundra West home. We are part of a connected village community where everything you need is right on your doorstep. 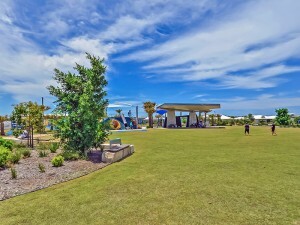 There is a combination of estates that make up our area: Bellvista, Bells Reach and Arbour Village, with huge future growth as Bellvista Boulevard extends into the Sunshine Coast’s newest and most innovative future city – Caloundra South. 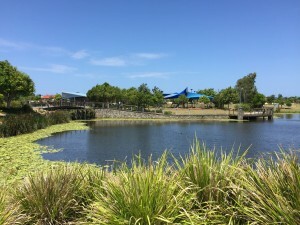 Winding throughout the estate are extensive walking paths, leading to the Bellvista Community Centre perched on the Lake, home to plenty of bird-life including a family of swans. The fantastic new Bells Reach Community Garden provides a place where Bells Reach and Bellvista residents of all ages can come together to socialise and make new friends as they share skills, learn and work side-by-side to grow fresh fruit, herbs and vegetables. Relax with a coffee at the Pod Cafe overlooking the award winning Blue Park, or join in a free training session at the latest fitness destination, Bells Reach Active Park. For young families, Bambini Early Learning Development Centre is just a short walk away, and families with school-aged children are just moments from the outstanding Unity College: P-12. A quick bike ride from anywhere in the area will take you to the Bellvista Market Place: with IGA, medical centre, Bella Hair, Smooth beauty, RetroPizza, Chemmart pharmacy, PieVista Bakery, Bellvista Tavern and Bottleshop. For a larger shop, Woolworths, Coles and a multitude of Specialty shops are only a five minute drive away. We are not only located in an outstanding Sunshine Coast environment close to great beaches, beautiful waterways, native bushland and surrounded by a mountain range, but you are also on the doorstep of the Sunshine Coast’s newest and most innovative future city – Caloundra South.